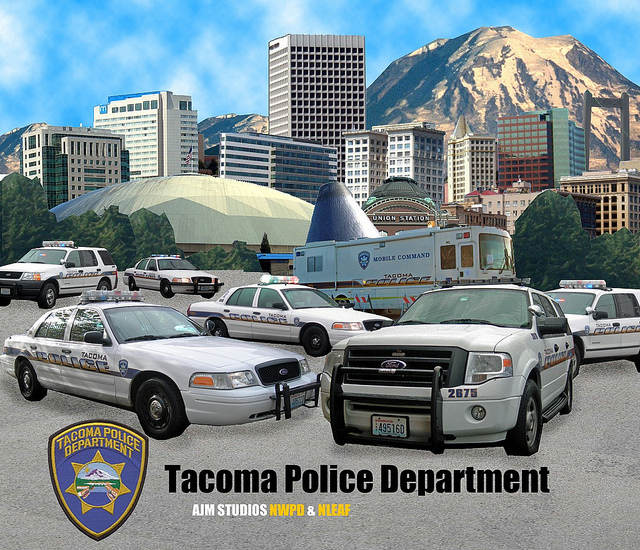 Tacoma police conducted a child abduction drill Thursday. Everything about the drill was supposed to feel real, all the way down to how they brief the media to get the word out. The drill is practice for something they said has happened too often in Tacoma — 16 child abductions in about the last 50 years. It was a nightmare scenario for parents. A girl in a park abducted by a stranger vanished as police moved to find her and her kidnapper before it’s too late. But this was not a real abduction, it was a drill by the Tacoma Police Department’s Child Abduction Response Team or CART. The drill conducted Thursday morning on the city’s northeast side is part of an effort for police to win national certification, making them one of 20 CART teams nationwide and the only one in Washington state. Teresa Lewis, Teekah’s mother, said watching the drill brought back memories of her daughter’s disappearance. “It’s like I’m reliving that day,” said Lewis. Teekah Lewis is one of 16 children abducted by a stranger in the city of Tacoma since 1961. Tacoma police said that number is considered high among law enforcement. The training hopes to better the law enforcement response to similar situations in the future. Thursday’s drill was part of a certification process conducted by the U.S. Department of Justice and the National Criminal Justice Training Center. Police Detective Lindsey Wade said having a CART team in place when an abduction happens gives police what they need most: an organizational structure for rapid response that helps cut the amount of time it takes to get law enforcement mobilized, civilian resources in place to filter through tips and telephone calls and to alert news media outlets to broadcast information that can lead to valuable clues. There were people from different departments who will work on how to respond to abductions more efficiently. The drill ended with a Tacoma police SWAT team locating the suspect, who was portrayed by a police officer, and the victim, a teenage actor, well before the deadline. Alan Wolochuck, an assessor with the U.S. Department of Justice, praised the department’s performance after the drill. “They did very well. One of the best that we’ve seen around the country,” said Wolochuck. Lewis said she believes the abduction of her daughter, along with other unsolved cases, helped spur the department to assemble the CART team. “The resources they have now, I wish they had them back then so she would have been found,” said Lewis. A decision on the team’s application for national certification is expected to take about two weeks. This entry was posted in Uncategorized and tagged Abducted, Abductions, ABP World Group, Alerts, Amber Alert, American, child, Child Abduction Drill, children, County, Drill, Kidnapping, Kidnappings, Media, Parent, Parental, Police, Recovery services, States, Tacoma, United, US. Bookmark the permalink.